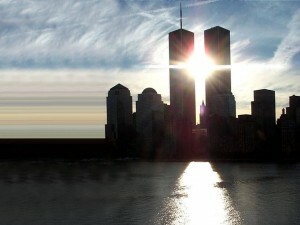 Yesterday, our nation spent time remembering the tragedy that struck 10 years ago. We celebrated the lives lost and the lives saved. We reflected on what it means to be an American and why it is so important that we never forget the resolve and unity we experienced in the days, weeks, and months following the attack. September 11th, 2001 marked each and every one of us, no matter how significant or how seemingly small our connection was to those who were lost. But our generation has the quiet Tuesday morning, when 4 hijacked planes made the world stop. We are united not only by the loss, but also by the memory we hold. Each of us was somewhere when we first heard the news or watched the television as a plane flew into the World Trade Center. I was boarding the early morning ferry departing from Martha’s Vineyard and headed back to Boston where I attended college. I was sitting in my seat listening to the woman a few rows behind me trying to make an airline reservation from Boston to Chicago. She became increasingly frustrated as the airline employee told her she could not make such a reservation. All planes were grounded. The Sears Tower in Chicago was closed down…some kind of threat. It didn’t affect me. Hours later after a bus trip following my ferry ride, I watched the bus driver drive past Logan Airport without making his usual stop. People on the bus started yelling. “Hey, that’s our stop!” Stop the bus!” But the driver calmly explained that the airport was closed. The entire airport. …the image of a plane flying into the building. I froze. I started crying. What does this mean, I asked. What is happening? Each of us remembers exactly where we were when we heard the news or saw the images on the T.V. screen. A coffee shop. Your home. Your workplace. Let’s remember where we were so that we might never forget. Where were you on the morning of September 11th, 2001? What were you doing and how did you find out the tragic news? How did 9/11 change you? I was in my honeymoon (married 9/9) and I had to watch it from the TV. Being from NYC it was more than frustrating knowing that my city, my loved ones and my people were under such terrible circumstances. I couldn’t connect with anyone and the uncertainty was killing me. Fortunately, all family and friends were OK. I worked at 3 World Financial Center and we lost 11 employees. I didn’t personally know any of them though. SO, yeah, you can imagine how hard it was to try and have a fun honeymoon after that. Terrible! Oh my gosh! On your honeymoon! Wow. And yes, I can’t imagine watching your hometown be attacked. And even though you didn’t personally know the 11 employees that were lost, it is still so close and so tragic. There was a girl from my college on one of the planes that crashed into the towers. I didn’t know her either, but it was so shocking and sad. Thanks for sharing your memory of that day. Hope the following anniversaries have been happier (which isn’t hard, I’m sure). I had just dropped my daughter Michelle off at Scottsdale Community College and gone into WalMart for something when I saw all these people standing around in the electronics section watching the TVs. We all, a bunch of strangers in WalMart, stood together and just cried and cried. I was in the car with my mom on my way to my 7am men’s choir class at my high school. It was 6:45 when I first heard the news. My wife’s uncle was at the Pentagon when it was hit but he was two sections away from where the plane struck. I also had an ex-gf whose Aunt was on flight 93. Living in Washington State and being in High School means I really didn’t know anybody in or around the NY area. I can remember consciously thinking, “I need to never forget this day.” And so far I haven’t. Wow, you knew a few people closely involved in the attack. I had a similar thought…realizing that this was beyond important and would forever change our nation. I knew it would mark me forever. I shared mine over at my blog today: http://www.thelazychristian.com. I guess it still shocks me that that event changed our world so much. I agree. I find it crazy too that for some nations or parts of the world, that kind of violence and fear is ever-present. Terrorism is just daily life. I cannot imagine living in the constant fear that was felt on 9/11. I was in my office at a brand new TV station in Wisconsin. The folks from the radio station in the next cubicle over saw it on CNN and alerted us. My assistant and I watched the coverage for the rest of the day. In retrospect, the event was instrumental in regard to some philosophical changes that have taken place in my life since then. Ironically, while I used to be a radical conservative, I have become more libertarian as a result of the events of 9/11. I continue to conclude that our government’s response to this tradgedy was, in many instances, a poorly thought out over-reaction. I am saddened by politicians and government officials from both parties, who seem to use the perceived threat to our “safety” as an excuse to erode our basic human rights and personal liberties. The Patriot Act, for instance, while appearing… patriotic… actually took a serious bite out of our own freedoms, our constitution, and the rule of law. While we may now be a little safer from terrorists, we are now far more vulnerable (less safe) where our own government is concerned. In the long run, that may someday prove to have been more disastrous than the events we are commemorating today. You got it. And that overreaction, even more than the casualties Al Qaeda inflicted upon us on 9/11, was what Bin Laden was trying to evoke from us. The trillions of dollars we’ve poured into Afghanistan and Iraq and the precious American blood that has been spilled in both countries are a direct result of following Al Qaeda down the rabbit hole. Greater wisdom was called for in the wake of that attack. I was at home and had just had probably one of the biggest fights with my husband ever. He was outside mowing and I called him in to see what was happening. He was active duty military at the time so the phone would be ringing at any moment… I remember three things. One: I wanted to go get my daughter from school and have everyone together, two: how eerily quiet the skies seemed that day, and three: just how insignificant the fight was. Nothing about that day seems to fade, it’s frozen in time. I was on the computer in my grandparents’ basement (Mom and I lived there while I was growing up) when my grandfather yelled down the stairs, “Turn on channel 4!” At that time only the first tower was hit, so I just thought a plane accidentally flew into the building. I turn off the TV and went to a chat room for Tool fans (I was a HUGE Tool fan at the time). Minutes later there were people in the chat room saying, “The second tower has been hit! It’s a terrorist attack!” I didn’t believe it at the time, since Tool fans tend to be take a lot of ‘shrooms. Then I turned the TV back on and saw that it was true. I was a pretty young Christian at the time, but I had this feeling that the Church was supposed to go out and change the world after 9/11. Unfortunately, the church I went to at the time was a holy-roller fundamentalist church, so they had a very escapist theology mentality. So the only thing the Church had to look forward to after 9/11 was Armageddon. Yay, sounds like fun! Needless to say, I don’t go to that church anymore. We had moved to Northern VA from Houston June 1, 2001. Lance began working in DC – halfway between the Capitol and WH on Penn Ave. The daughters and I enjoyed a summer of getting to know our nation’s capital. We had spent many hours on the Metro and seeing all that the Capitol had to offer. When we moved into our house Sept 1. We were still under our first remodeling construction. We didn’t have cable hooked up yet. So, I listened to WTOP on the radio each morning to get my news fix. September 9, your (Nicole’s) in-laws were here to stay a few nights. They were late risers (nothing unusual there :-) ) so I had not turned on the radio yet. That morning started as a normal day; Lance went off to work and the daughters went to school. They were in the 1st and 5th grades. Not too much later, my mom called from Phoenix and asked, “Are you OK?” I could tell by her tone that she was quite concerned. I said, “Of course, we’re OK. What’s up?” She told me about both planes flying into the WTC and the plane at the Pentagon. I immediately called Lance. He had been on a conference call with his door shut and was completely unaware as to what was happening less than 5 miles away. No one had bothered to knock on his door to tell him. When I called him, his secretary said he was on a phone call. I said, “Tell him I need to talk to him. NOW!” When his secretary said I had to talk to him NOW, he thought something had happened here at the house with the ongoing remodel. I told him what had happened. He went to one of the conference rooms and began watching the TV with everyone else. I ended up driving to the local Radio Shack to get rabbit ears for the TV. The carpenter brought the TV from storage in the basement to the first floor and set it on saw horses. The only channel we got was ABC. So, for 3 days we watched Peter Jennings while we sat on camp chairs on the bare cement floor in our family room. Lance stayed at the office as long as he could. The managing partner finally told him that he wouldn’t leave until everyone else had left – he was Navy – he would be the last to leave the ship. He left his office around 12:15. He didn’t see any traffic until he drove up the Jefferson Davis HWY next to the burning Pentagon. He had to slow down to a crawl as people in a dazed state walked across the highway. The schools here kept the kids at school and did not do early dismissal as many other school districts around the nation did. The bus drivers were very sensitive making sure that there was a responsible adult to collect each of the kids. Many of the parents here work at the Pentagon. Luckily, no one from our immediate community was killed at the Pentagon. After that, the skies were eerily quiet except for the fighter jets that were circling the beltway for days. A year later, we were dealing with the beltway sniper with police following the buses to school. A woman who worked at the FBI was killed at the Home Depot in our area – less than a mile from our house. After they were caught, our city realized that they had been sitting across from our high school for a number of hours and were caught on a red-light camera. We were staying with extended family, just outside Washington D.C. Kathy and I were concluding a rare two-week vacation, the second week of which was my first trip to our nation’s capital. We had toured the White House just five days before all tours were cancelled indefinitely. We had driven past the Pentagon every day for the past week. We had reservations to fly home and rejoin our boys on 9/12. The morning of 9/11 we were visiting with my sister’s sister-in-law when she got a phone call from Phoenix telling her about the first tower. Unfortunately, they had just moved in to their new house and had no TV reception. We hopped in the car to go get breakfast and listened to the horror on the radio. People at the restarant didn’t really believe us when we told them what was going on, but eventually turned on a TV and started seeing the news. I remember the terrible sinking feeling in my gut as the first tower fell. We had been on top of that tower one year earlier. I thought about the souvenir shops and restaurant on the top floor, thinking of faces I had seen, knowing that those who were where we had gone had no hope of survival. We drove to a nearby Circuit City electronics store to stand with strangers and watch news on TV sets which had terrible reception. We NEEDED to see what was going on. Over the next few days, the quiet of empty airspace was eerie. All flights were grounded until further notice. We were calling daily, trying to get home as soon as possible. Our teenage boys (just turned 19 & 17) were going through their first world-changing crisis and we were not there with them. We finally got to leave a few days later on the very first flight out of Dulles. There was a wreath of flowers at the American Airlines ticket counter in memory of those who perished on the AA flights. The new airport security was ridiculous (3 hours, everything in all bags had to be unpacked and then repacked), and one security agent was not going to let Kathy bring her insulin needles on the plane. I was defiant until a senior screener said she could take them. I could not help noticing that in the waiting area were scattered 5 Arab men, ages 25-40, without wives, girlfriends, or children accompanying them. Yes, I was profiling, and they fit the profile perfectly! Alarms were going off in my head and heart. If these 5 were all going to get on our plane, we were going to complain. Nothing personal, guys. It’s just not a good day for another 5 single Arab men to get on a plane together. Fortunately, they were waiting for another flight. Whew. A dozen uniformed American Airlines employees were waiting at the gate for our plane to arrive. All their crews had been grounded and stranded in various locales on 9/11. When the plane arrived, there were hugs and tears as the flight crew disembarked. They had suffered great loss. I told Kathy to observe the scene carefully, for our world had changed and we would no longer see people greeting arriving passengers at the gate. Our pilot spoke clearly and strongly over the intercom, leting us know that he had been a marine. It was comforting. We all were thinking about the events of the preceeding days. the flight was quiet and uneventful, but when we touched down, there was loud spontaneous applause throughout the cabin. It was good to be back home. I was a manager of a small call center group and was really aggravated at first when my team members spent a lot of time talking about what I at first thought was just a small airplane crash. I soon found out that my assumption was wrong and changed my tune.